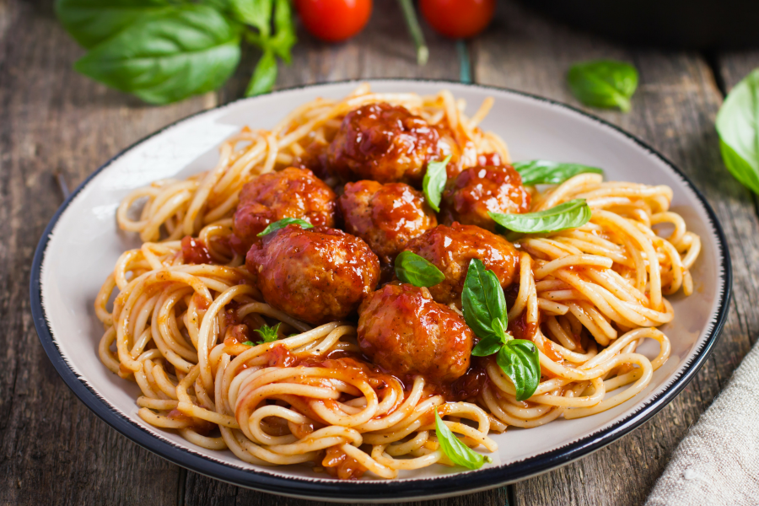 As we head into the colder months this Meatball and Tomato Sauce dish is a homely and comforting meal to help warm you up. Mix together the mince, onion, garlic, sage, paprika and seasoning with your hands. Roll the mixture into equal-sized balls. Heat a medium size pan until hot. Add 1 tbsp of Rapeseed Oil. Fry the meatballs until browned and set aside in a large casserole dish (don't worry if they're not cooked through at this stage). To make the sauce, turn the heat to medium and fry the onion for 10 minutes in a little Rapeseed oil, adding a little water if it starts to stick. Stir in the remaining sauce ingredients and cook for 5-10 minutes. Cover the meatballs with the sauce and cookie the oven at Gas 4, 180°C for a further 10 minutes, until the meatballs are cooked through and piping hot.